BOISE, Idaho, November 6, 2018 /3BL Media/ – Albertsons Companies today released its 2018 Sustainability Update, highlighting successes in reducing waste, expanding organic offerings, leading in seafood sustainability, and supporting the causes customers care about most. In conjunction, the company announced it is purchasing 10 all-electric Tesla tractors for its Southern California fleet. The vehicles are part of the company’s ongoing efforts to decrease carbon emissions and run a cleaner transportation program. 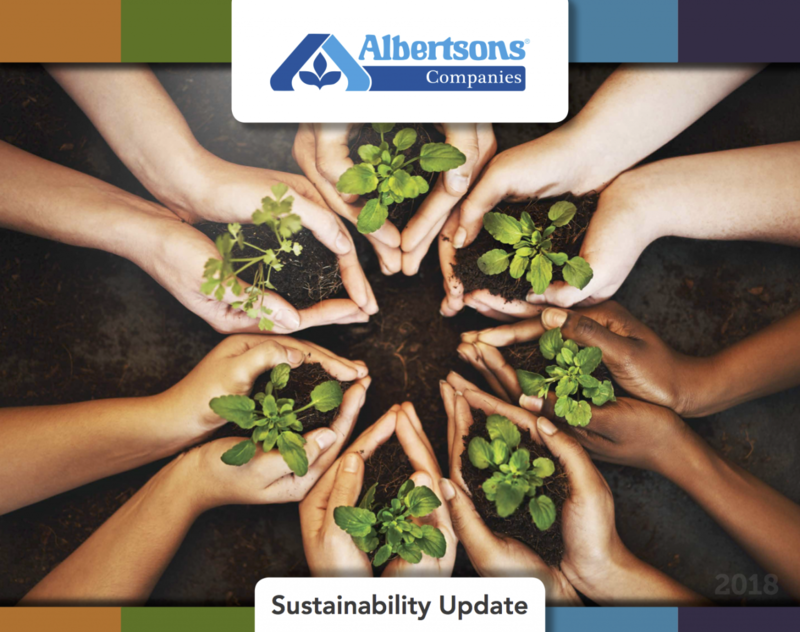 The 2018 Sustainability Update was released shortly after Albertsons Companies ended its largest fundraiser of the year and shortly before it is set to launch its major season of giving and local outreach. In early October, Albertsons Companies Foundation announced the Hunger Is fundraiser to fight childhood hunger in America raised a record $7.2 million in just 30 days. The funds are enough to provide 22 million breakfasts to kids in need. Albertsons Companies plans to add 10 Tesla all-electric semi-trucks to its fleet to service Albertsons, Vons, and Pavilions stores in Southern California. The trucks will be able to travel 300 to upwards of 500 miles on a single charge, even with a fully loaded trailer, and use less than 2 kilowatt hours of energy per mile. The electric semis expand Albertsons Companies’ commitment to running a safe, sustainable fleet to service its 2,300 stores across the country. As a partner and supporter of the Environmental Protection Agency’s SmartWay transportation program, the company actively promotes SmartWay certification to improve freight efficiency and environmental performance. The company’s entire 1,400+ truck fleet nationwide is SmartWay certified, as are 92 percent of trucks operated by third-party carriers. Read the full 2018 Sustainability Update here. Albertsons Companies is one of the largest food and drug retailers in the United States, with both a strong local presence and national scale. We operate stores across 35 states and the District of Columbia under 20 well-known banners including Albertsons, Safeway, Vons, Jewel-Osco, Shaw’s, Acme, Tom Thumb, Randalls, United Supermarkets, Pavilions, Star Market, Haggen and Carrs, as well as meal kit company Plated based in New York City. Albertsons Companies is committed to helping people across the country live better lives by making a meaningful difference, neighborhood by neighborhood. In 2017 alone, along with the Albertsons Companies Foundation, the company gave nearly $300 million in food and financial support. These efforts helped millions of people in the areas of hunger relief, education, cancer research and treatment, programs for people with disabilities and veterans outreach. This press release contains certain forward-looking statements. Statements that are not historical facts, including statements about our perspectives and expectations, are forward looking statements. The words “expect,” “believe,” “estimate,” “intend,” “plan” and similar expressions, when related to the company and its subsidiaries, indicate forward-looking statements. These statements reflect the current view of management and are subject to various risks and uncertainties. These statements are based on various assumptions and factors, including general economic, market, industry and operational factors. Any changes to these assumptions or factors may lead to practical results different from current expectations. Excessive reliance should not be placed on those statements. Forward-looking statements relate only to the date they were made, and the company and its subsidiaries undertake no obligation to update forward-looking statements to reflect events or circumstances after the date they were made.